I talk to John Reischman about the creative process, working with the band and the state of the folk/roots music scene in Canada. The Jaybirds came together as a band when John Reischman was releasing his Up in the Woods album in 1999. He wanted to do some shows as part of releasing the CD so he brought together players with whom he’d worked before. Initially, he brought Nick Hornbuckle in to play banjo since he’d played on the recording, Trisha Gagnon on bass, Chris Stevens on guitar and Greg Spatz on fiddle. Reischman brought in the band’s current guitarist Jim Nunally a year later. The band’s current line up has been the same for the past 15 years. The Jaybirds also play original instrumentals by Reischman as well as Nick Hornbuckle and Greg Spatz. Another challenge that Reischman highlights is the fact that the band’s been around the scene for a while. He says, “Artistic directors want to hire the latest young acts, which is a positive thing, but I’ve seen a lot of bands come and go and we’re still at it. I think the music is still valid." Reischman chuckles and adds, "Maybe we will eventually fall into the elder statesman category and start to get more bookings again!" 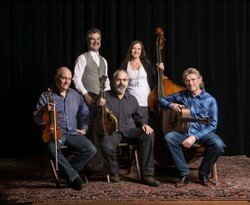 For more information on John Reischman and the Jaybirds, visit their website here. This interview with John Reischman was conducted and recorded on May 10, 2016. Great, interesting article. Keep it up.